Year-to-date, there were 7.5% fewerresidential listings compared to 2016, and 3% fewerresidential sales. However, the average residential listing price year-to-daterose 5.8% from 2016 and the average residential sales price rose 6.3% from $285,108 in 2016 to $303,087 in 2017. The rising sales prices reflected in December 2017, with an increase of 6.7% from an average of $278,991 in December 2016 to $297,785 in December 2017. 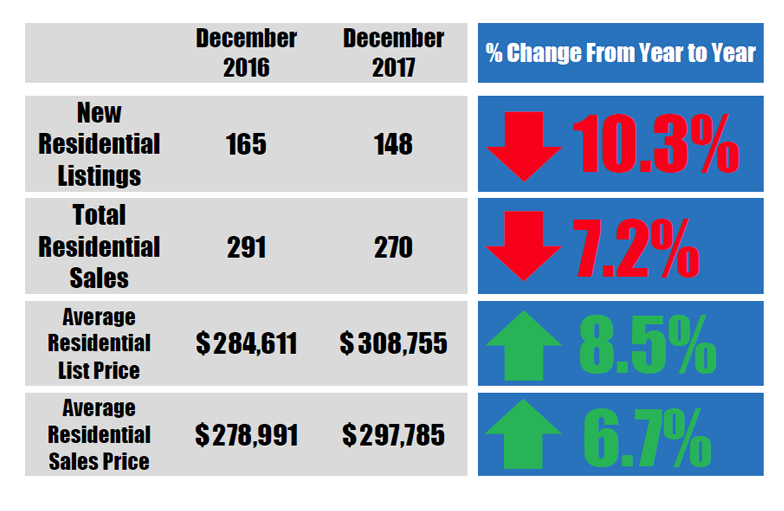 December 2017 saw a dip in residential listings and sales, but the total volume of sales overall for 2017 rose considerably. Residential listings for December 2017 were down 10.3% from December 2016, and residential sales were down 7.2 percent from December 2016. The total volume of residential sales year-to-date in 2017 was $1,137,789,783, a 3% increase from the total volume of sales in 2016. Though inventory was down overall in 2017, 31% of listings sold above list price and 19% of listings sold at list price, accounting for the increase in sales volume. 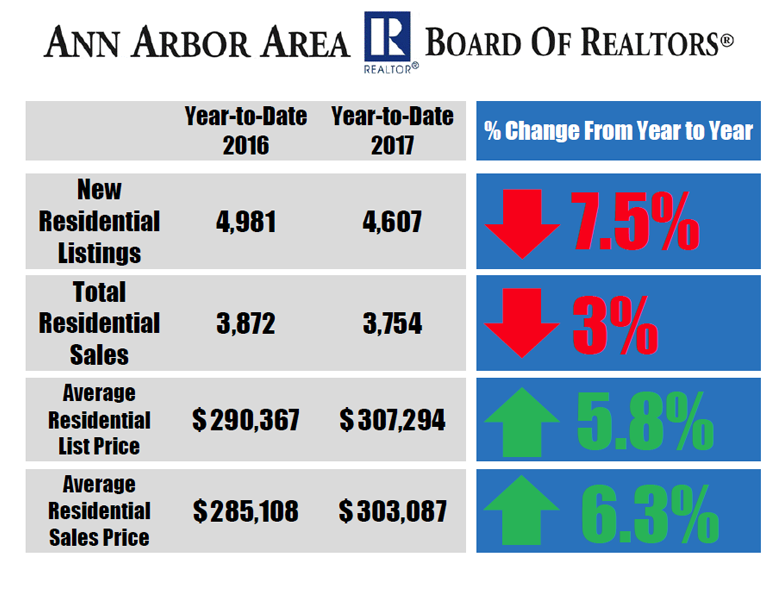 To see more Ann Arbor Area housing statistics, view the December 2017 Housing Statistics Report.